Wow. Somewhat in balance to yesterday’s reblog of part one of Coel Hellier’s post defending multiverse theories as scientific, here’s Amir Aczel skewering many of the proponents of multiverses and other untestable cosmological theories. He takes aim at Brian Greene, Max Tegmark, Lawrence Krauss, and others, for presenting metaphysical assertions as science. The universe is a marvelous place to live in. Well, it’s the only place we know — and we know a very tiny part of it. Telescopes reveal to us farther parts of this wondrous cosmos, and through them we learn about fascinating objects and phenomena such as neutron stars, black holes, supernovas, and exoplanets. 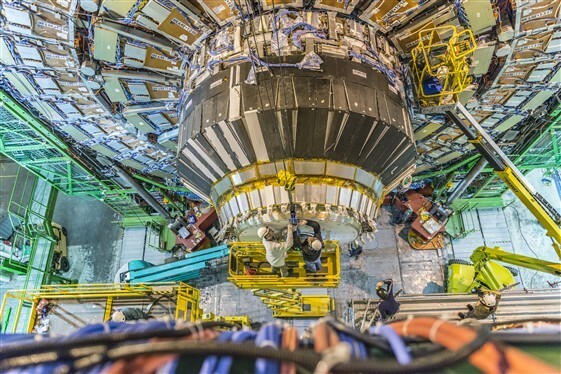 Equally, high-energy particle accelerators and other experiments reveal to us the workings of the very small — which always have a strong bearing on the nature of the universe as a whole. And of course theories are equally important. There is absolutely nothing wrong with speculation in physics — and the correct theories are eventually confirmed by experiment and observation. But it is definitely wrong — misleading and dishonest — to preach to an unsuspecting public, mostly uninitiated in science, mere hypotheses as if they were confirmed facts. This isn’t science, and it isn’t honest scientific reporting. Physicists should be the purveyors of facts, not dreams. via Pseudophysics: The New High Priesthood | Amir Aczel. As I commented on Hellier’s piece, I actually have no problem with speculation on things like multiverses or on how the universe began, as long as it’s labeled as speculation. In truth, in Greene’s and Termark’s books, they are usually careful to delineate and label the more speculative aspects of their subject matter (I haven’t read Krauss’s book), but it doesn’t always seem to happen in their articles and commentary. I think this speculation lies on the border between science and metaphysics. That doesn’t bother me. I mean it as no insult to those engaged in it. A lot of what I post about here is metaphysics. But I do find it ironic that many of the same people who dump on philosophy are effectively engaging in philosophy, and are so touchy about having that pointed out to them. This entry was posted in Zeitgeist and tagged Amir Aczel, Brian Greene, Cosmology, Lawrence Krauss, Lawrence M. Krauss, Max Tegmark, Multiverse, Neutron star, Philosophy, Physics, Science. Bookmark the permalink. Fabulous article! It seems to be as malady to which physicists are particularly prone, thinking they more than they do, and then misleading the public into thinking the same thing. . Thanks for finding this. What a good article. Oops. Got my pages muddled up. – Princeton (Steinhardt and team) seems alone in attacks, while crying about “losing grants”. Oh well, someone wins, someone loses.